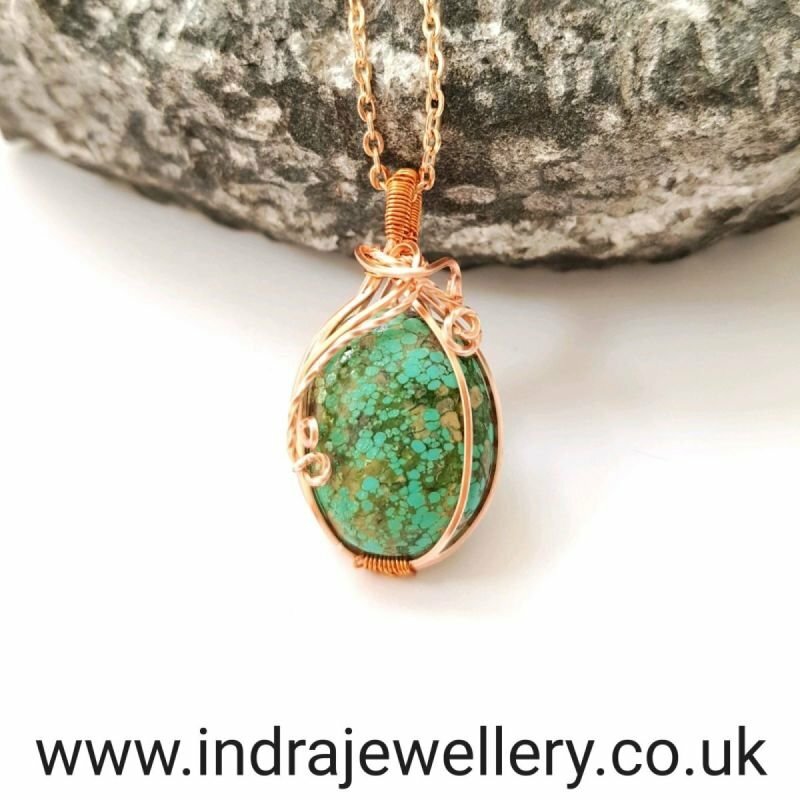 This is a gorgeous natural turquoise stone which has an unusual spotty appearance! I have wire wrapped it in a rose gold toned wire and attached it to an 18" rose gold plated chain. This truely is a spectacular necklace which will look great worn daytime or evening and will go with just about anything!